– It is not easy to inject a child, even though it ensures pain relief! – “Needle Phobia” does exist in children and at times in adults, too! 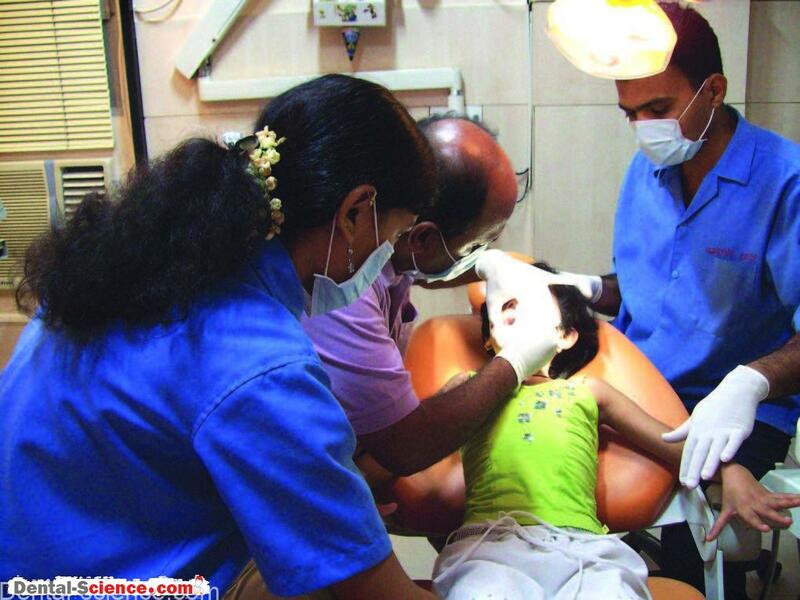 – Also, we as dental surgeons are scared to inject a child prior to dental treatment! – Local anesthesia is mandatory for most dental procedures. –If we fail to achieve adequate anesthesia, we can rarely accomplish treatment with ease. – The advantages of local anesthesia, therefore, need not be over-emphasized. 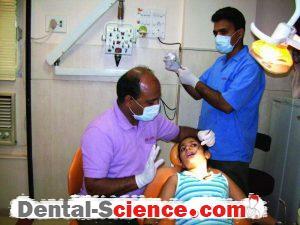 – It is an acquired skill of a dentist to administer local anesthesia to a child patient. Why are children scared of injections? – An important deterrent to seeking dental care is fear of injections. misbehaves or an injection would be given by the doctor for eating too many chocolates! – Also, the FEAR associated with injections lowers the pain threshold and thus, the intensity of pain increases when it has to be experienced. – The anxiety of parents could be another important reason for a child’s negative preparation of mind. 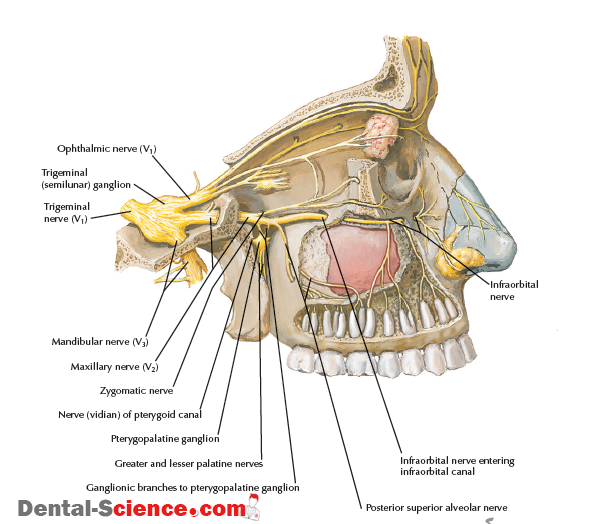 relation to pain, bleeding, tooth removal, injections, etc. – may influence a child negatively. – At times, the presence of an anxious parent in the operatory can affect the administration of local anesthesia adversely, as the child in presence of such a parent would be obviously more worried and fearful. – A past negative (painful) experience is another factor associated with fear. – However, many a time such an experience is not due to painful injections per se, but is due to lack of pre-treatment preparation of the child or lack of adequate pain control (either due to failed/inadequate anesthesia) during treatment. confidence in receiving local anesthesia. – The following discussion outlines the necessary steps to be followed for the same. – A discussion with parents prior to any procedure should help them prepare themselves better for a child’s dental care. – The same may preferably take place in absence of children. • Do not tell your child about pain, blood, injections, etc. in the first place. • Don’t tell him/her something like – “ because you don’t brush you teeth properly, doctor will give you an injection…” or “because you eat chocolates, your spoiled teeth will be removed by doctor”! dentist can answer your queries separately. • Do not insist on starting the treatment in the first visit itself. Give your doctor enough time to talk to your child. The time spent initially on building rapport and gaining his/her confidence will in turn save the time required for treatment later. • Don’t promise him/her in advance about the time the doctor would take for the treatment, the pain he/she might get, etc. which can mislead him/her. Simply say you don’t know. • Report to doctor any past negative experience. – The author requests parents to wait outside the operatory during most dental treatments, including administration of local anesthesia to a child. – This establishes a better rapport with the child. – Also, as mentioned earlier, many parents are themselves anxious about certain procedures. – Their anxieties as well as their instructions (apart from the doctor’s) may create confusion in the child’s mind and hinder smooth delivery of care. 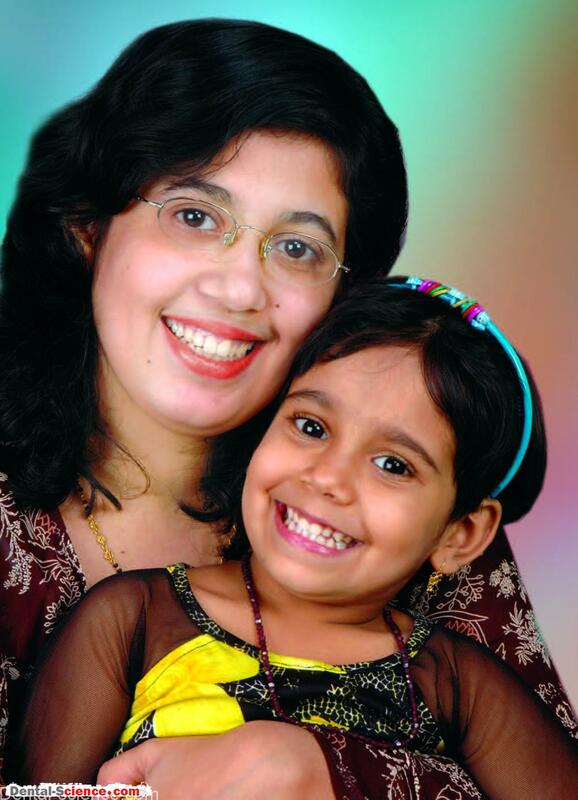 – The child at times may demand holding his/her mother’s hand or sitting on mother’s lap, and much more…. Remember, whenever we meet with such demands, the child senses that he/she can dominate the proceedings and that makes our job even more difficult. – Children also know the best ways to emotionally blackmail their parents! – The ‘separation’ should take place as comfortably as possible. treatment and the parents must willingly agree to it. – Also, separation ensures that the child gets undivided attention of the doctor and he/she has no choice but to comply with the doctor’s demands. 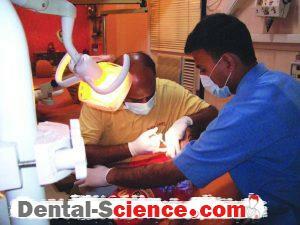 – Now, the dental surgeon can use the behavior modification to the fullest efficiency. cooperate for all dental procedures (many of them enjoy them, too)! simple words (using Euphemisms or substitute words), rewarding appropriate response by praising or giving gifts, etc. are a few examples of these methods. – At times it may be necessary to restrict unwanted movements of children by holding their hands and stabilizing their heads. – Only if the child is uncooperative after these methods have been attempted, the need for pharmacological technique (general anesthesia/sedation) arises. – The same may be explained to parents appropriately. 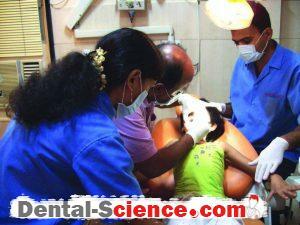 – The child must be made comfortable in the dental set-up. 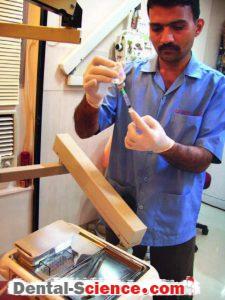 – The dentist in the first couple of visits must focus on this aspect rather than carrying out much treatment. – Simple procedures such as consultation and treatment planning, taking radiographs, brushing demonstration, fluoride applications, small restorations, etc. can be carried out prior to a treatment requiring administration of local anesthesia. – The child sitting in the chair in a relaxed manner and actively participating in a conversation with the clinic staff is more likely to accept local anesthesia with ease. – The following steps helps in a smooth administration of local anesthesia. 1. Explain the procedure to the child in brief, firm yet friendly manner. Tell him/her that you would be “cleaning” the tooth for which you need to “put medicine near the tooth to put the tooth to sleep”. Also, you may tell him that it may hurt only as much as an ant/mosquito bite and lasts only a few seconds. (Avoid using word like injections, pain… Always ask your assistant for LA and not injections.) Avoid answering direct questions from a child such as “are you going to give me an injection “; or “are you going to remove my tooth”. however, for having the teeth problem-free, treatments are required that may involve only a little bit of pain which most children bear without much discomfort. 2. Also, do not promise a child that he/she would not experience pain at all. The child might feel cheated even after a mild discomfort and would not trust you anymore. Just avoid discussing pain. Should you explain pain, it must involve reassuring the child that it would not be more than an ant-bite or a mosquito-bite and it would be less only if he/she follows the doctor’s instructions carefully, such as not moving hands/head. otherwise a cooperative child, let him/her feel that this is just another minor procedure. 8. Always use a topical anesthesia; either a flavored jelly or spray. 9. Use the thinnest gauge needle (27-30 G for infiltration, 26-27 G for blocks). 10. Do not show the child the syringe while being loaded. Do not wave the needle in front of the child. The assistant should transfer the syringe to the dentist without the child knowing about it! Screen the child’s vision with your palm, however, do not cover eyes entirely. (In the author’s opinion cartridge syringes are difficult to hide.) The needle may be hidden in a sterile cotton roll that can be disengaged just before injecting. 11. Should the child see the needle, DO NOT PANIC. Just demonstrate how it works by ejecting a few drops on hand. Tell him/her that seeing it only increases pain. movements. Another assistant may stand towards the feet for the same. However, do not forcibly hold the child prior to injection. 13. While administering local anesthesia, a few drops are sufficient to anesthetize mucosa. a pterygomandibular block, single visit endodontic treatment, etc. 17. Avoid giving local anesthesia in the next visit as far as possible (particularly when a child’s first experience of receiving the same has not been satisfactory or if extensive work has been accomplished during the previous visit). 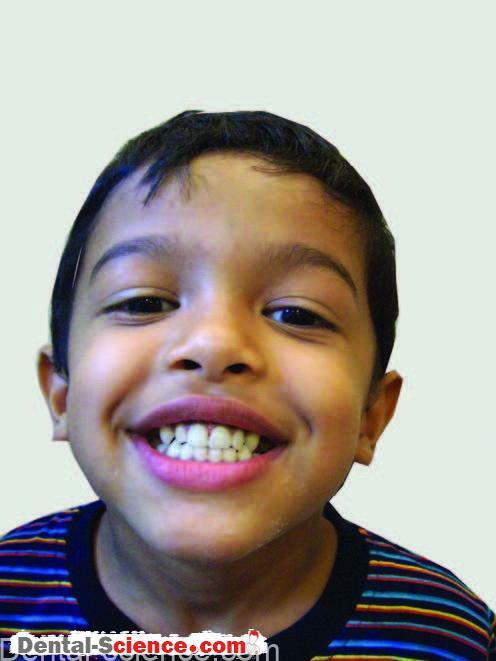 Carrying out lighter work such as post-endodontic restorations or filling a small cavity can help a child forget a past traumatic experience, if any. successful administration of local anesthesia. However, pacify the child on completion of the procedure and praise good behavior. Explain to the child that he/she had been restrained from moving so as not to injure himself/herself. 19. The above mentioned steps must be followed even in the case of a definitely positive child. 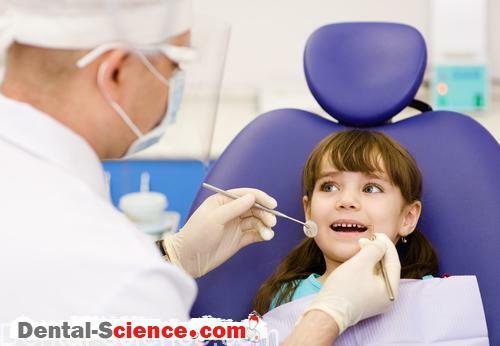 By this a dentist can get accustomed to deal with any child in a systematic manner, and this preparation makes the task simpler in case of an uncooperative child. (switch over form spray to jelly) to remove ‘associated’ fear. 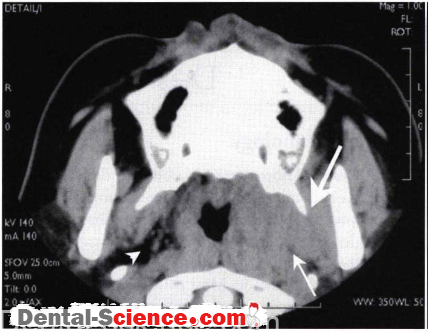 interdental papilla with the needle held perpendicular to it can actually anesthetize palatal gingiva. Avoid carrying out procedures requiring palatal anesthesia in the initial visits. Wait for good 15-20 minutes after injecting; explain the child that you have tried your best to put the tooth to sleep but it has not worked well. Ask the child to bear with the pain for a while until additional intrapulpal or intraligamentary anesthesia is administered. Often, children exhibit maturity and cope up with the situation. – The child management and the pain management are interdependent. – If one fails to achieve local anesthesia, he/she can rarely succeed in doing a good job. – However, if one successfully administers local anesthesia, half the battle is won! – The technique integrates Tell-Show-Do, Distraction and Euphemisms effectively. – Hence, it is called as “TeDiE” technique. – First let me explain what I am going to do. I would like to remove your tooth without hurting you and without any pain. For this you should cooperate and listen to what I say. – As the first step I will put your tooth to sleep, so that it cannot perceive pain. – However, when I give this medicine it can hurt you like an ant bite or a mosquito bite (can be demonstrated by a slight pinch on the ventral surface of the forearm of the child). – If you shake your head, it can hurt more. I am going to use a spray before the medicine which is slightly bitter. – When I am spraying, you should close your eyes and extend your neck (look up). – If the spray touches the eyes it can cause burning sensation (a demonstration of the spray on the child’s palm or dorsal surface of the forearm is useful occasionally). – However, this spray will help you not to have pain when I am giving medicine to put your tooth to sleep. – You have to allow me to put the medicine (instead of the word injection) as soon as the spray is sprayed. – Delaying after the spray is given can necessitate repeating the spray process. – As soon as the medicine is given I will give you water to rinse your mouth. – Repetition of the instructions helps the child to understand what is going to happen to him. – Now once the child is ready, the local anesthetic spray is sprayed and the child extends the neck and closes his eyes. 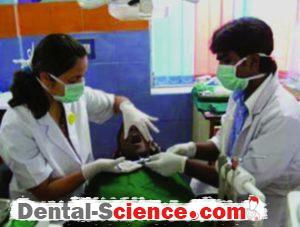 – The dental assistant passes the syringe below the extended neck to the dentist. appropriate for the situation) and slowly deposits the solution continuing the conversation throughout the deposition. – Immediately after this, child is instructed to wash the mouth with water for 2-3 times. – Occasionally, the bitterness of the LA solution can make a younger child get up and spit saliva. – It is better to avoid using the spray in children less than 3 to 3.5 years. – Use of a flavored gel is preferred. 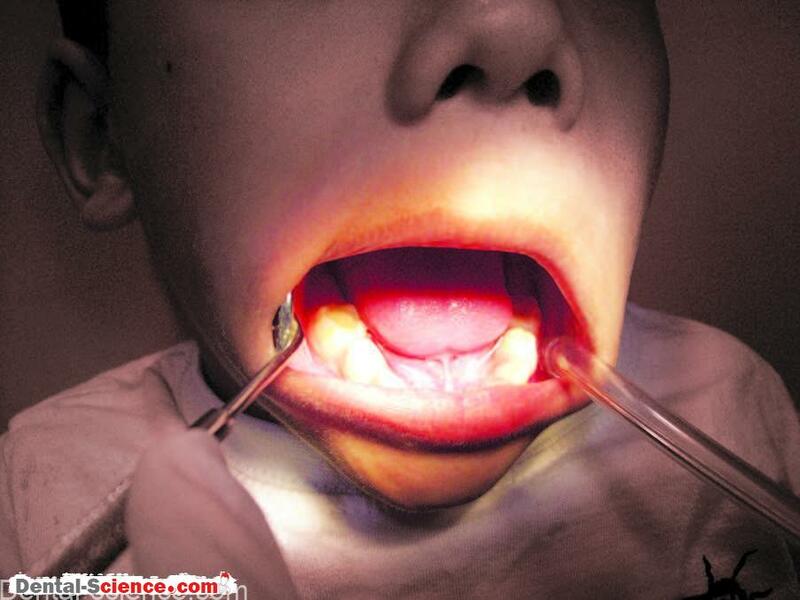 – Some children tend to look up and search for the needle in the assistant’s or dentist’s hand. – Some children can move during the procedure in spite of repeated verbal instructions. – Most often or almost always children do not see the needle at all as it is passed below the neck by the assistant (and their eyes are closed). – Children close their eyes and the needle is inserted immediately after the spray, hence the prick of the needle is rarely felt. – As it has been explained clearly (repeated) prior to the procedure, they do not move during the procedure as it can hurt them. deposit the solution slowly, minimizing the discomfort further. – Many a time the entire procedure is carried out within 60-90 seconds. 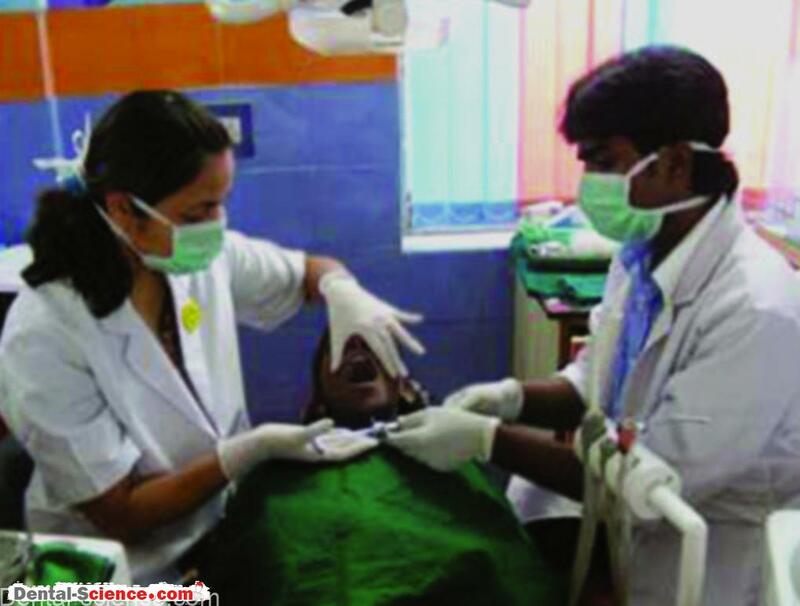 – It can be taught to any dentist who is getting trained for treating children. – The topical spray produces an almost instant numbness; where the waiting period for pricking is negligible. Doctor: Do you know you have a bad tooth full of germs in your mouth. These germs bite your tooth everyday to give you pain. Isn’t it? 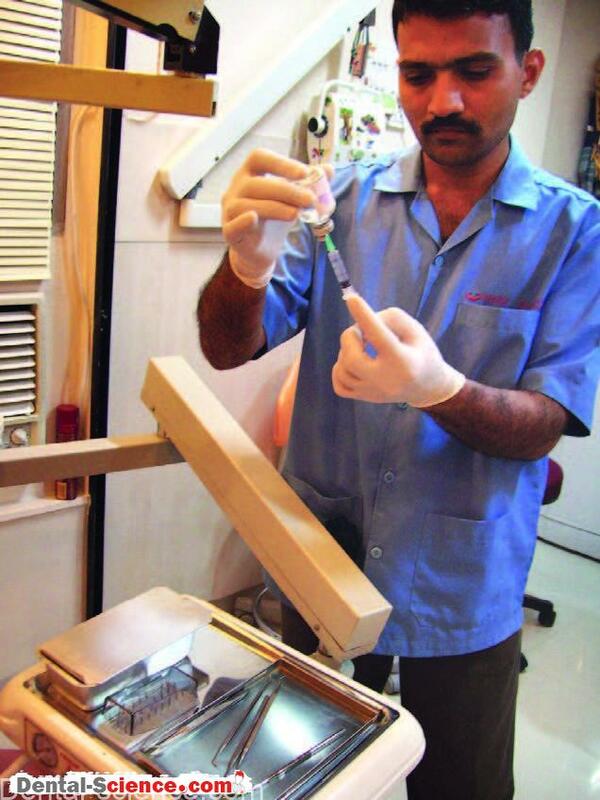 Doctor: We can remove those bad germs and stop tooth pain. Child: Oh really? How? What will you do? Doctor: Really. But for that, both of us have to help each other. As soon as that medicine enters the germs’ mouth, they will be asleep. Then we will catch them and throw them out. If we try to catch and throw them without putting ‘sleeping medicine’, they will run around and will not come out. Let me give you an example…. When you are awake and somebody picks you up and keeps you from one place to another don’t you come to know? Doctor: But at night, when you are asleep if mummy or papa picks you up and keeps you to another bed, do you get to know that? Child: No uncle, I get to know about it only in morning. Doctor: Yes. The same happens with these germs. We can take them out without their knowledge if they are sleeping. OK? Child: OK uncle. But what medicine you will apply, is that painful? Doctor: See, that’s a sleeping medicine, and that’s all. First tell me, are you ready to help me? sleep- here or at home? we are coming with the sleeping medicine. And most importantly, you should not move at all so that the medicine can be applied at right place. I know that all good and brave children like you follow these instructions. Are you a good boy? – All this communication must take place in a casual manner. 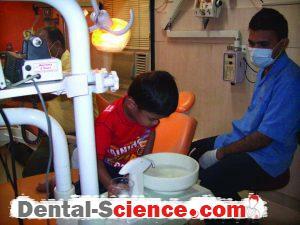 – Moreover, the dentist should challenge the child’s ego at this stage by saying that good/brave children can do it easily. – This conversation may take 10-15 min. – Once it is done, LA administration can usually be done without any hassles. 2. Use thinner needle like 26 g, 30 g for infiltrations and 25 g/26 g/27 g needles for blocks. 3. Insert the needle slowly and deposit LA solution slowly while talking to the child continuously. Sudden deposition of LA solution is painful. Withdrawal of needle also should be slow. 4. The assistant should be ready to hold the child’s hands to support the child/prevent unnecessary movement.